It's Friday, so I promise not witter on for too long (no, really). 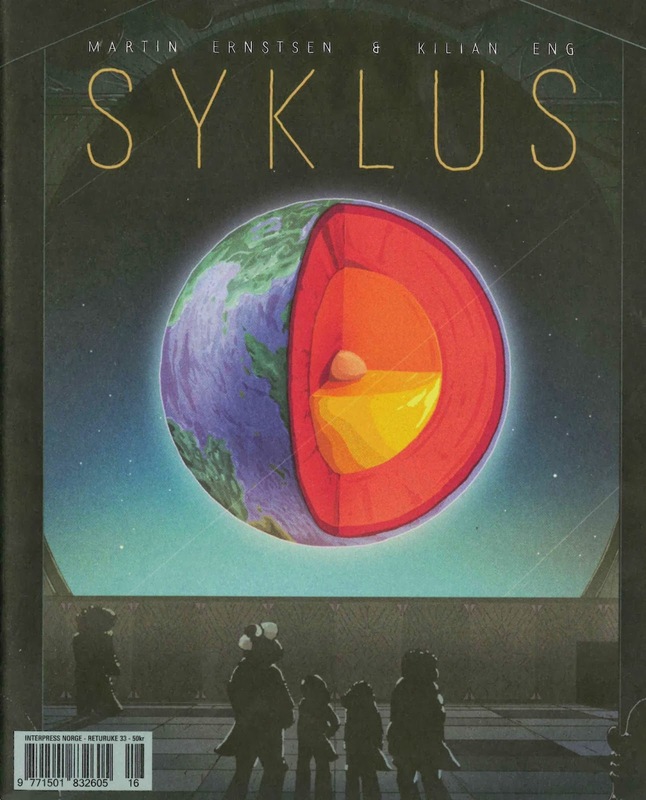 I went to ELCAF last year, and one of the first things I cam across was this amazing comic called Syklus, published by Norwegian imprint, Jippi. At that point, as enthralled as I was, my reluctance to spend a chunk of my budget so early on took over and I moved on. I couldn't stop thinking about it, however, and about 15 minutes later, I rushed back and bought a copy. 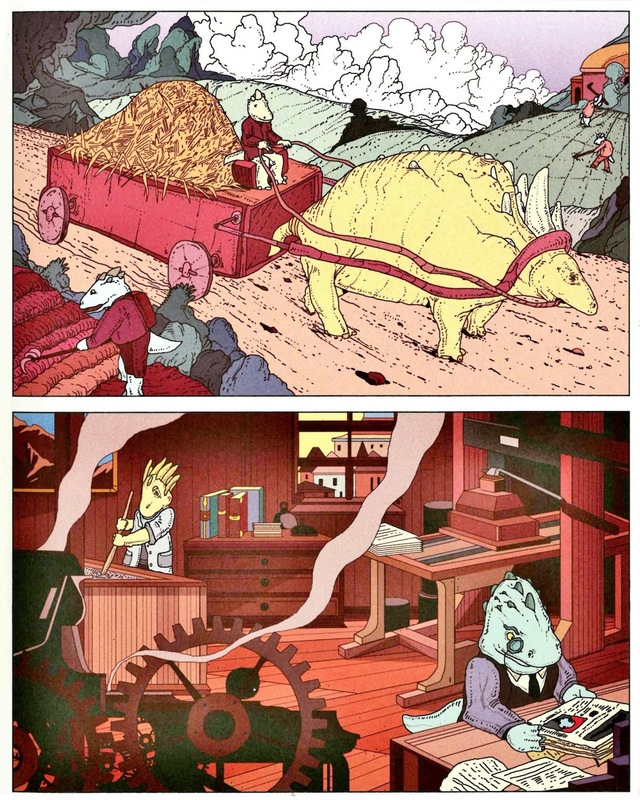 I'd heard of one of the authors- Kilian Eng, but not Martin Ernstsen. 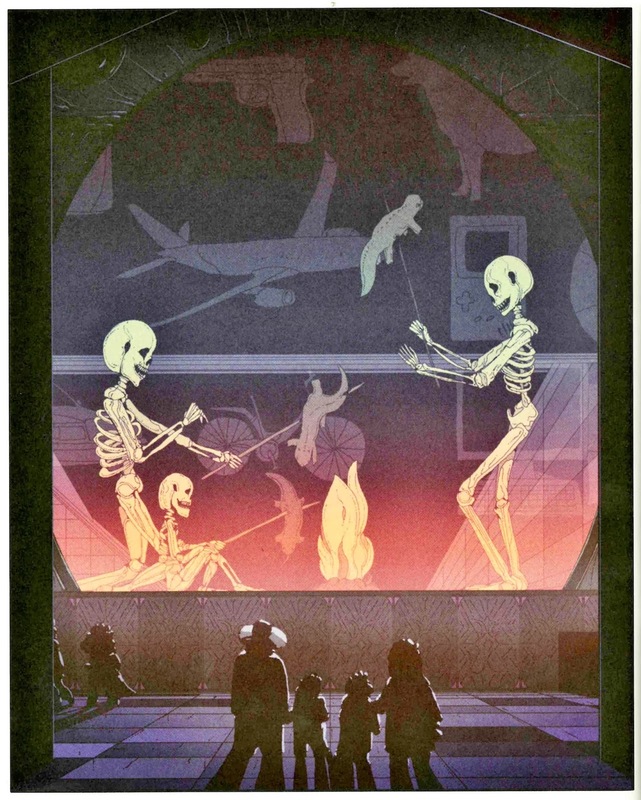 Eng is perhaps now best known for his amazing illustration and design work- most notably for film poster renderings of Jodorowsky's Dune, 2001: A Space Odyssey and more. 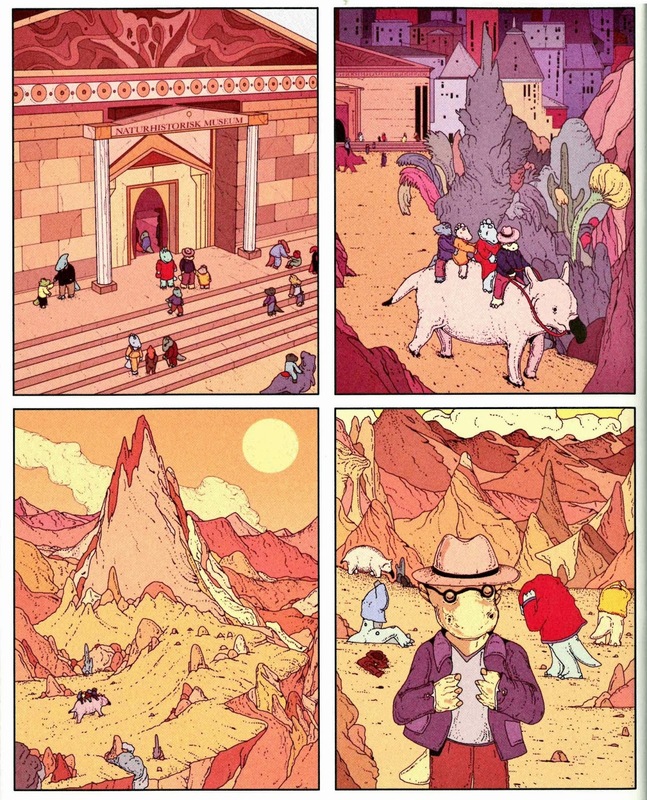 Ernstsen appears to be a regular on the Norwegian comics scene, producing comic books, diary strips, editing anthologies, creating fanzines, as well as being a children's books author. 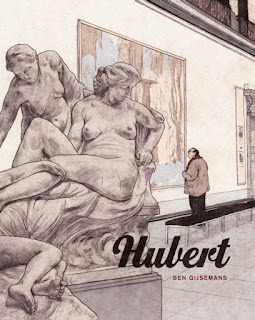 Both men are hugely talented (seriously- peruse the albums and books section at Ernsten's site)- and it's interesting to see their collaboration come together illustratively, as Syklus is wordless. While Eng's illustration is more design focused, often black-based, precise, angular, his colours bold, bright and contrasting, Ernsten's style is looser, organic, more traditionally cartoonish, his colours softer, more complimnetary. 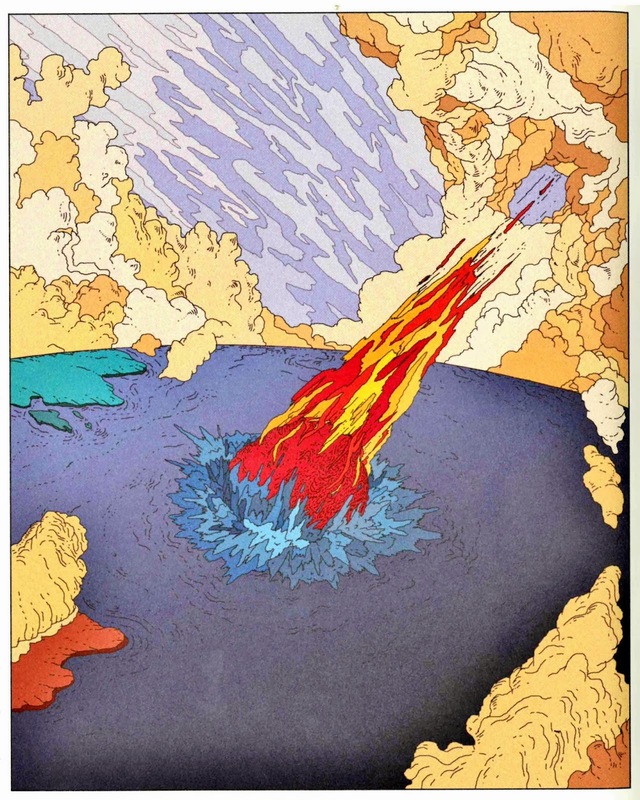 Here the two come together to create a book that's gloriously coloured, encompassing a spectrum of shades, from pastel to primary, and which retains many of the recognisbale elements familiar from Eng's work: the cloud formations, the wrinkly texturing, the amorphous, globulous vegetation. Those superb dinosaurs and skeletons are very much Ernstens' doing, though, and you can see his (children's storybook) hand, too in the characterisation of the dinosaurs: the clothing touche-, hats, glasses, a monocle. 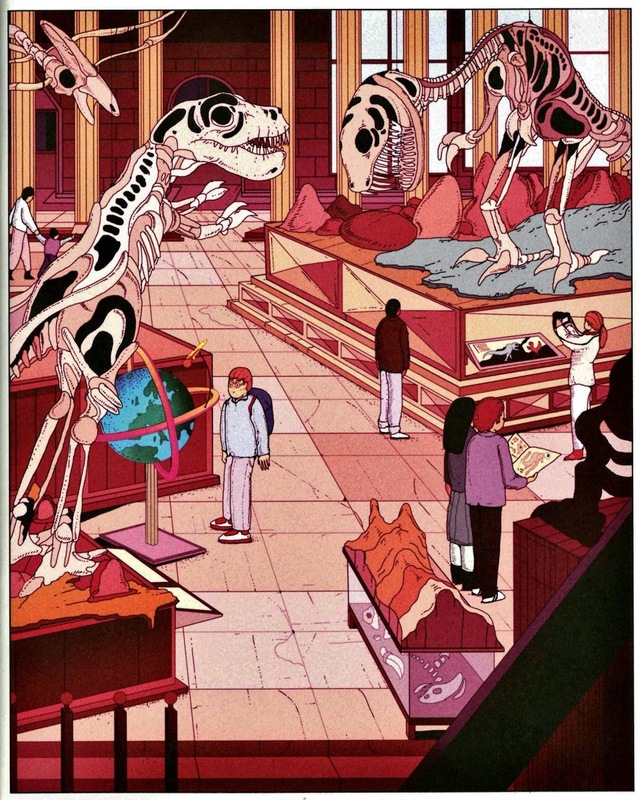 The narrative is a humorously cyclical tale of mankind ending courtesy of a meteorite, with the dinosaur age returning, and a wry commentary on perspective, and how history can be so easily appropriated, as we watch genteel, civilised dinosaurs visit museums which house the giant skeletons of monsters that used to populate the earth before them: humans. Young dinos clutch their parents hands as they gaze at terrifying exhibits and projections of guns, artillery, and people skewering dinosaurs over a fire. Centuries pass, and we see yet another asteriod blazing an earth-bound course. 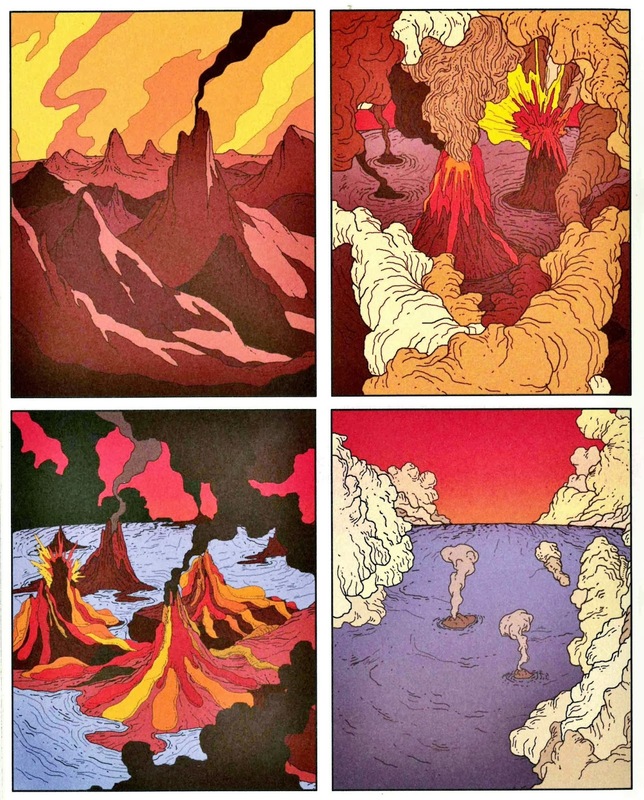 This post is really an excuse to post scans of the absolutely gorgeous art created: but I love dinosaurs, and I love the simplicity and clarity of the simple splash page/2-panel/4-panel pages. The environmental/atmosphere bits with the asteroid and gases, the planet erupting, terrain re-forming are just beautiful, too. Easily one of my most-loved books. You can see more of Syklus here.